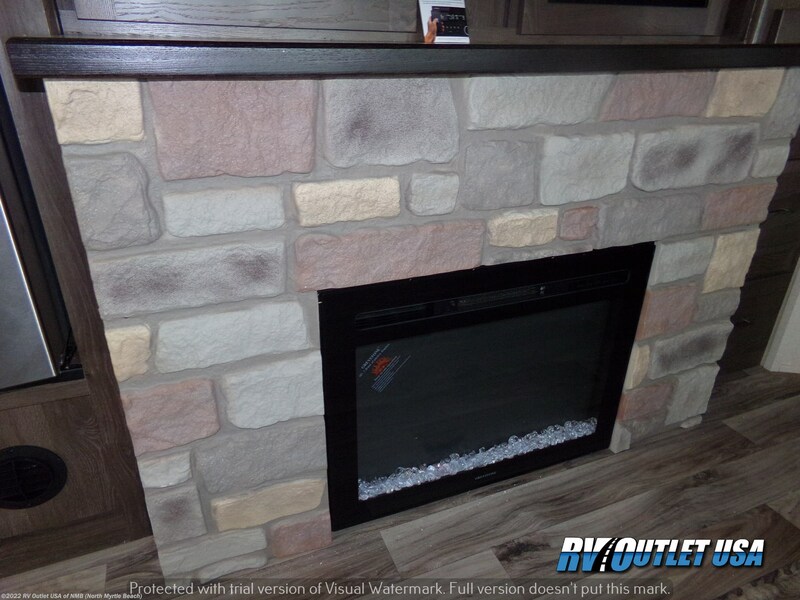 OUTSIDE KITCHEN ** FOLD OUT SECURE STEP ** ELECTRIC FIREPLACE! 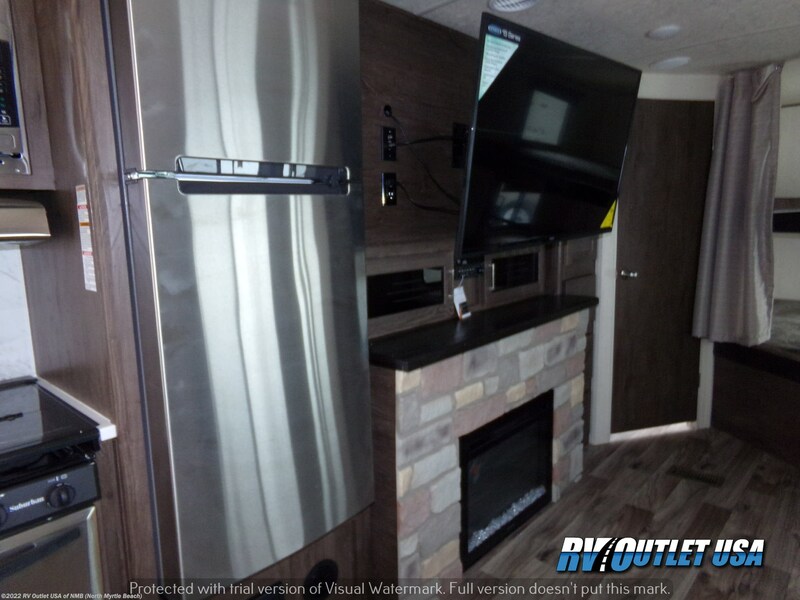 If you're in the market for an ultra lite bunk house travel trailer with double over double bunk beds and can sleep up to (8) or more people, then let me introduce you to this 2018 Forest River Heritage Glen 309BOK!! 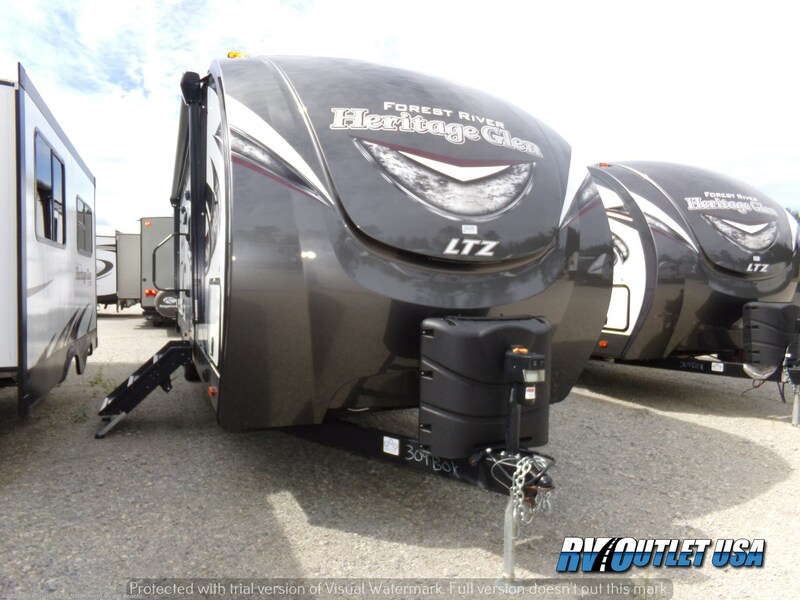 We actually purchased (12) 309BOK's from Forest River recently where a west coast dealer had ordered and could not floor them. 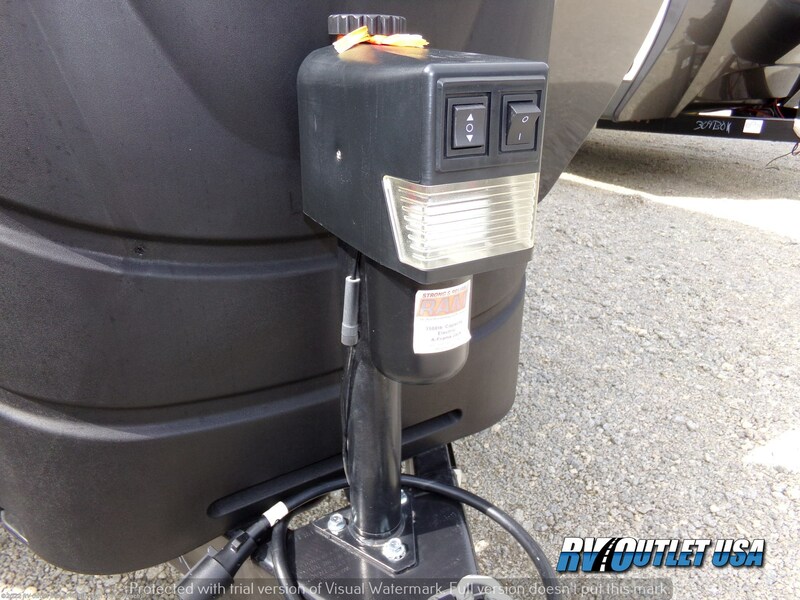 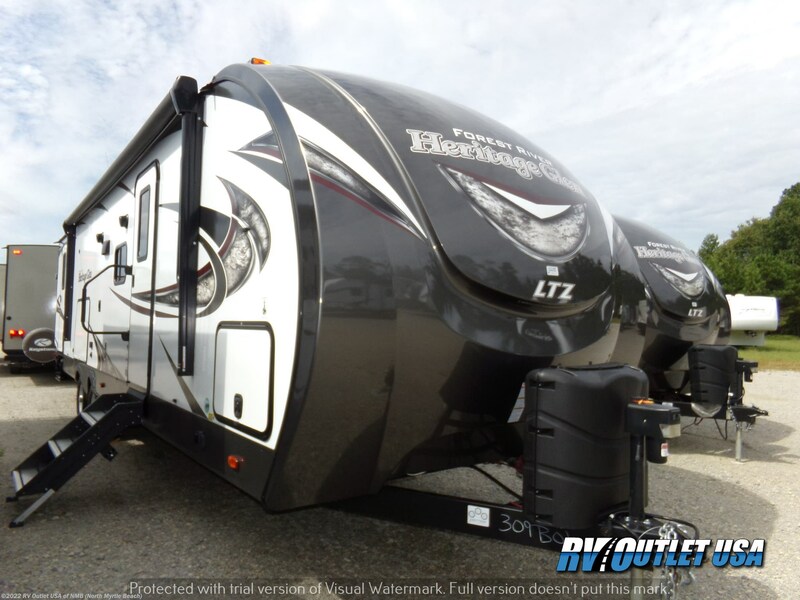 Of course, Forest River gave us huge discounts and rebates and we only have a few left at this price. 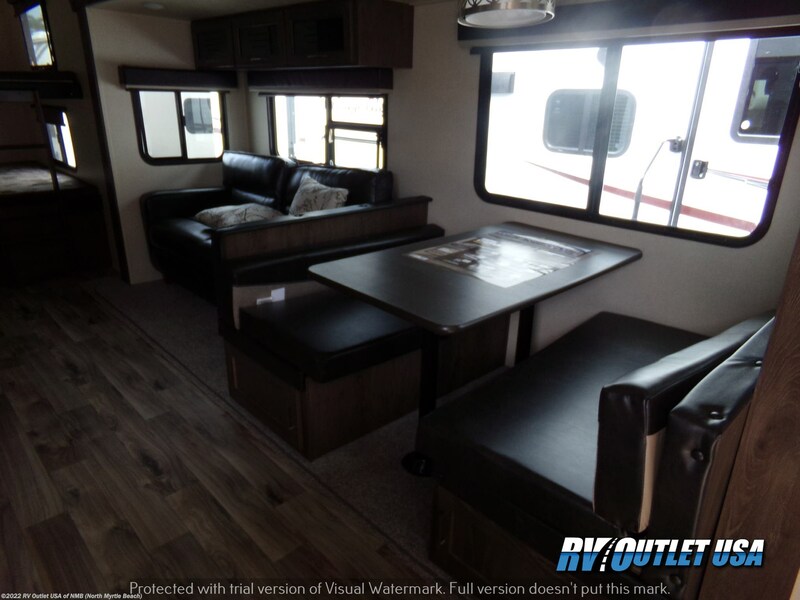 This RV is loaded with options such as power stab jacks, a power awning with LED lights, an electric fireplace, a hide-a-bed sleeper sofa in place of the cheaper jack knife sofa, a heated and enclosed underbelly, a super cool outside kitchen, it has 50 amp service which is braced and wired for a second A/C if you want one, and so much more!! 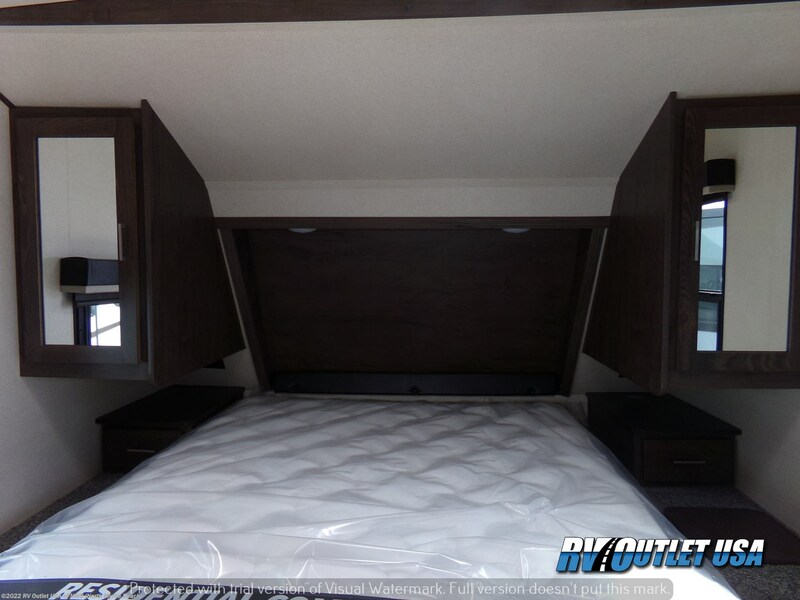 The 309BOK floor plan has a walk around queen bed in the front with night stands on both sides and over head cabinets. 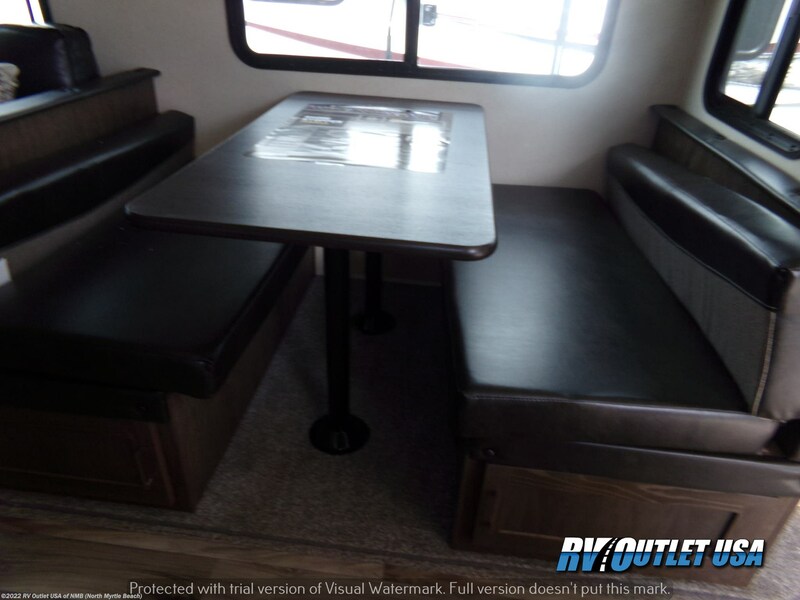 It ha s a large super slide on the off door side with a booth dinette and a Tri-fold hide-a-bed sleeper sofa. 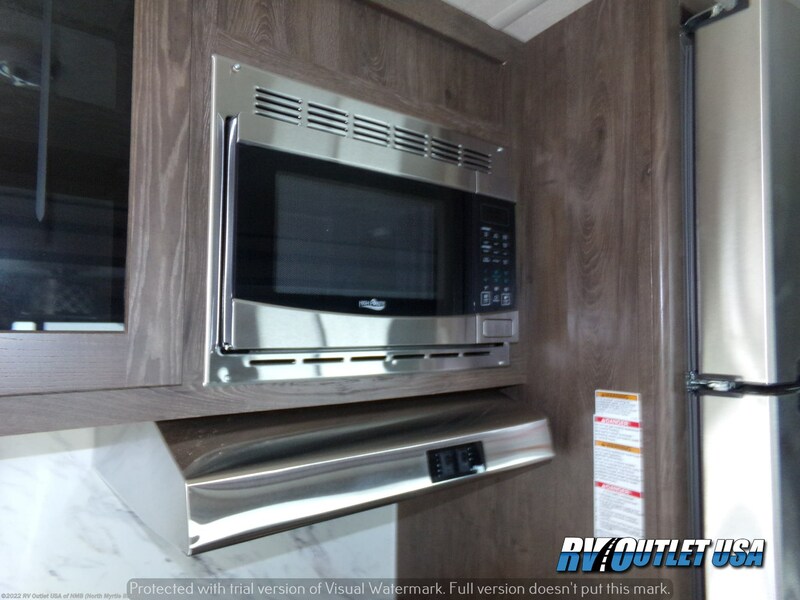 Across from that is a full galley (kitchen) with a (3) burner cook top with oven, an overhead microwave oven with an exhaust hood, the residential style refrigerator and all the appliances are stainless steel!! 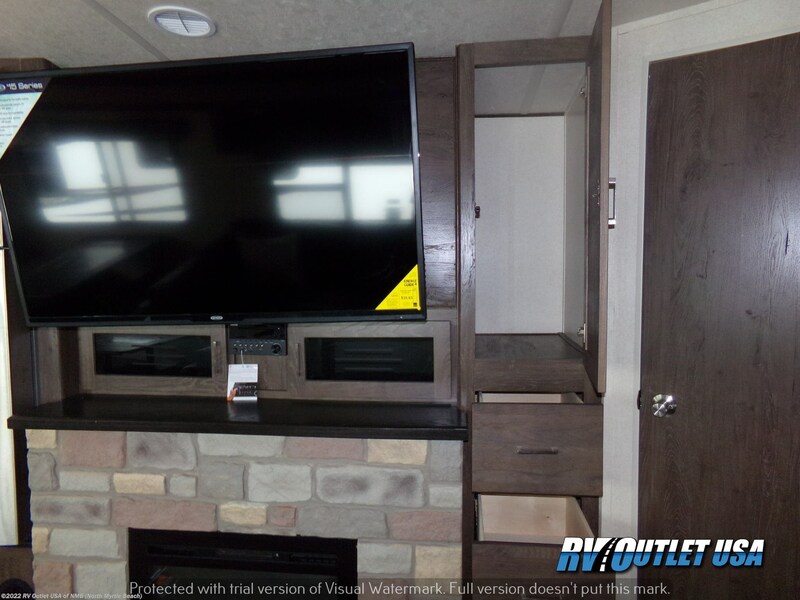 The entertainment center is across from the sleeper sofa and it has the upgraded LED TV and below that is the electric fireplace. 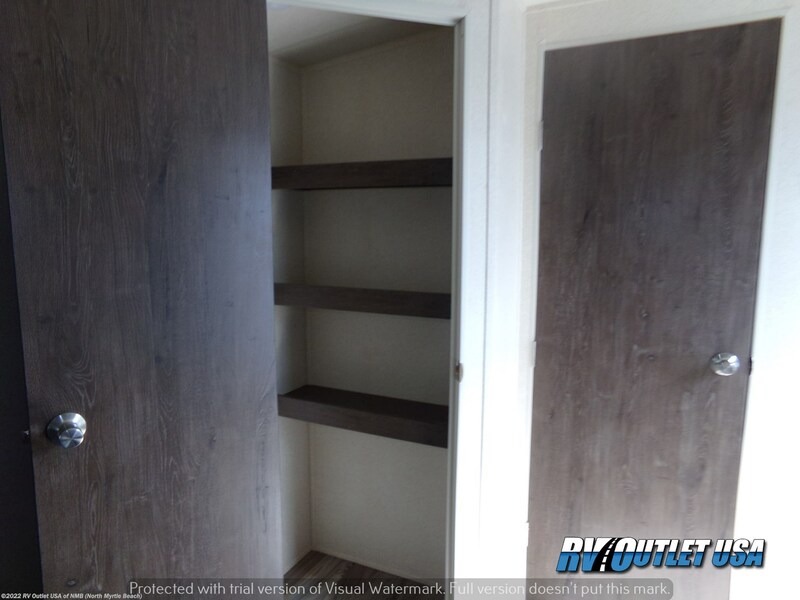 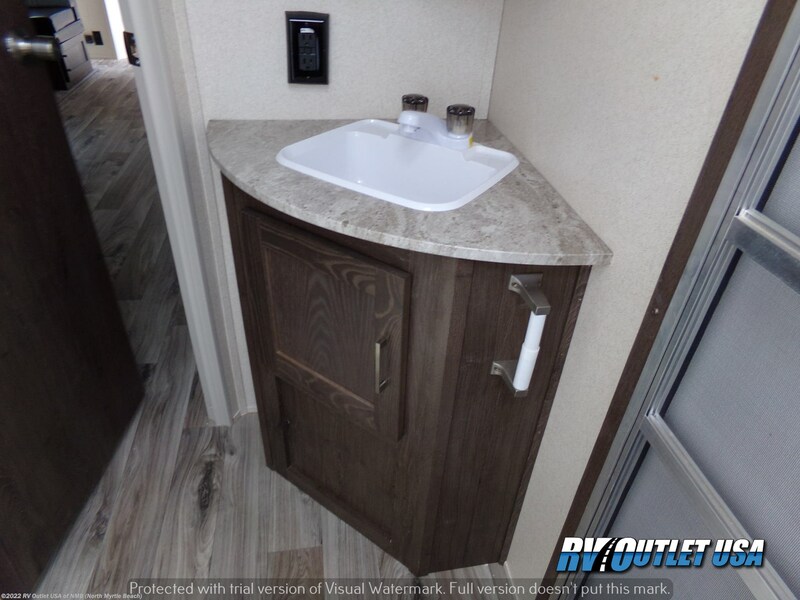 In the rear on the off door side you'll find the double over double bunk beds and beside that is the bathroom with a tub/shower combo with ABS surround, a porcelain foot flush toilet, a medicine cabinet and a 2nd entry door which is very nice. 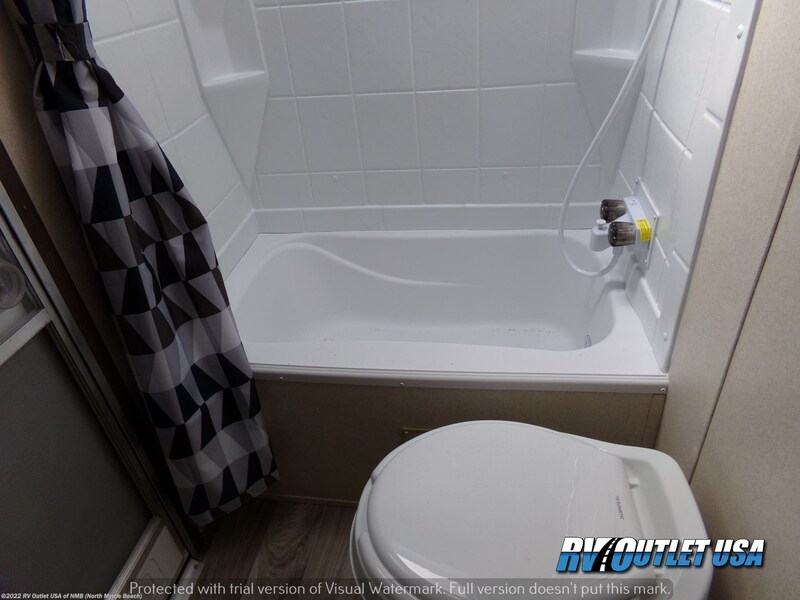 It keeps the kids from letting the A/C out when they want to use the restroom!! 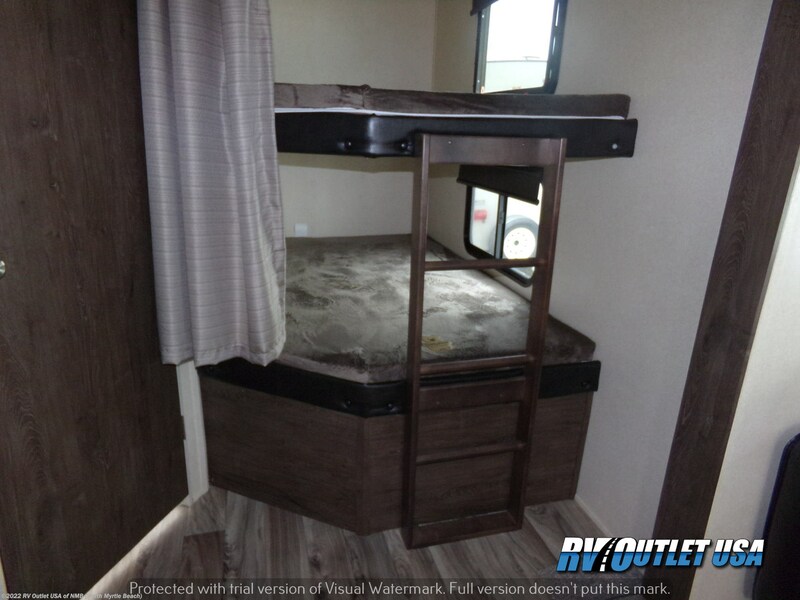 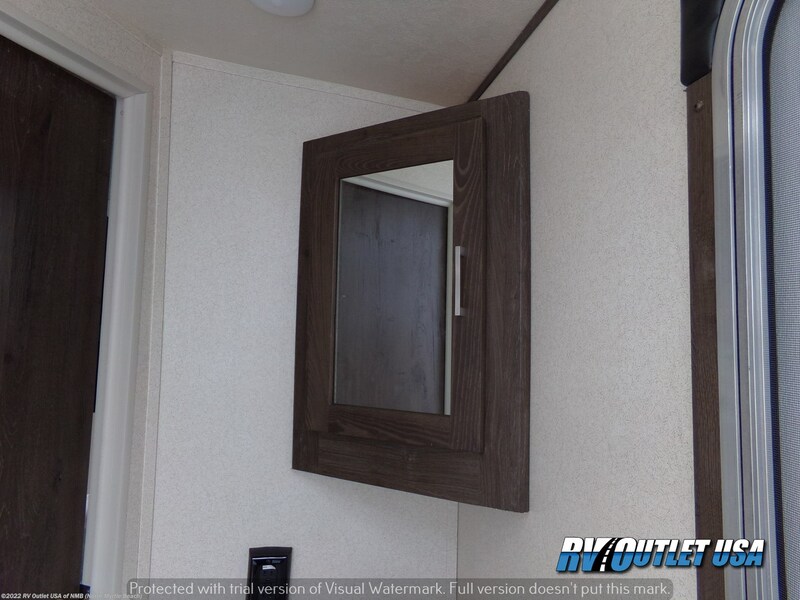 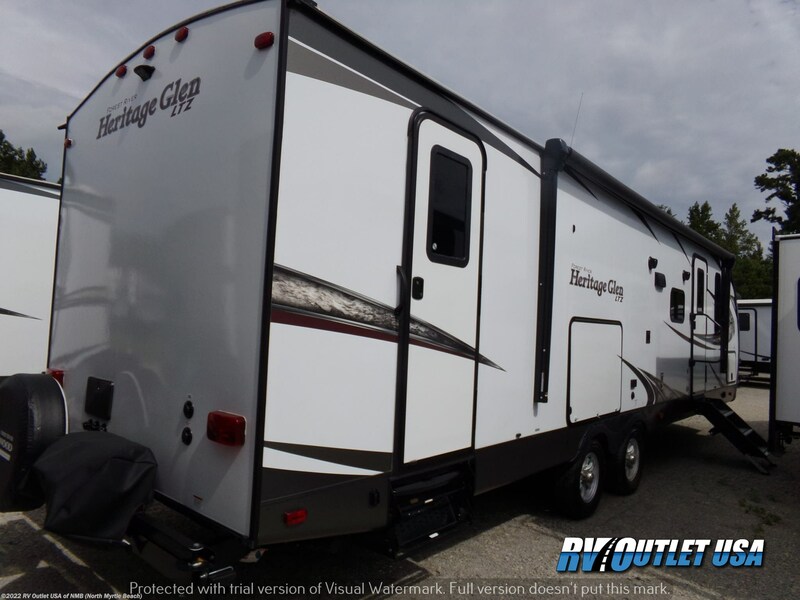 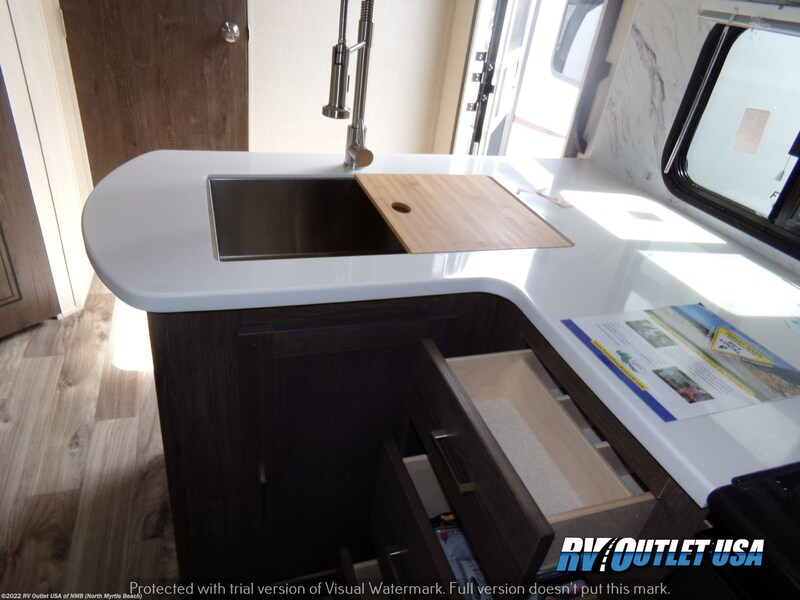 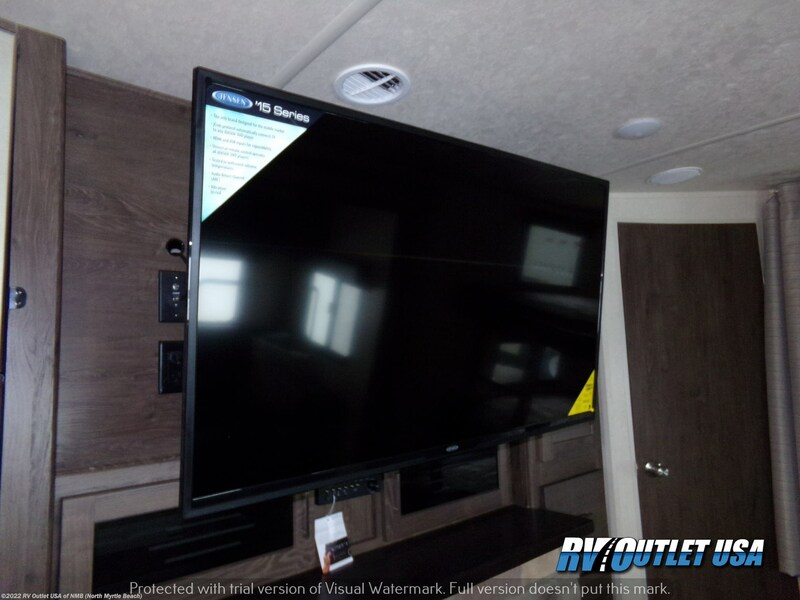 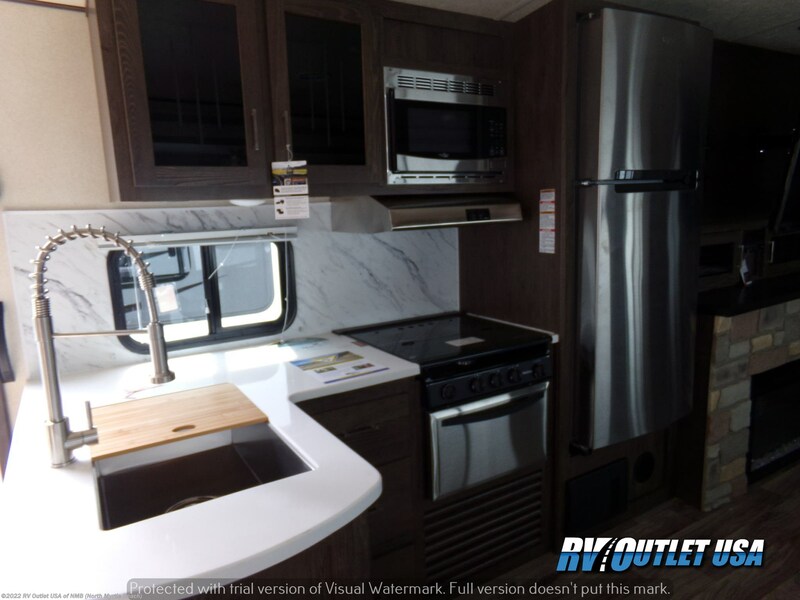 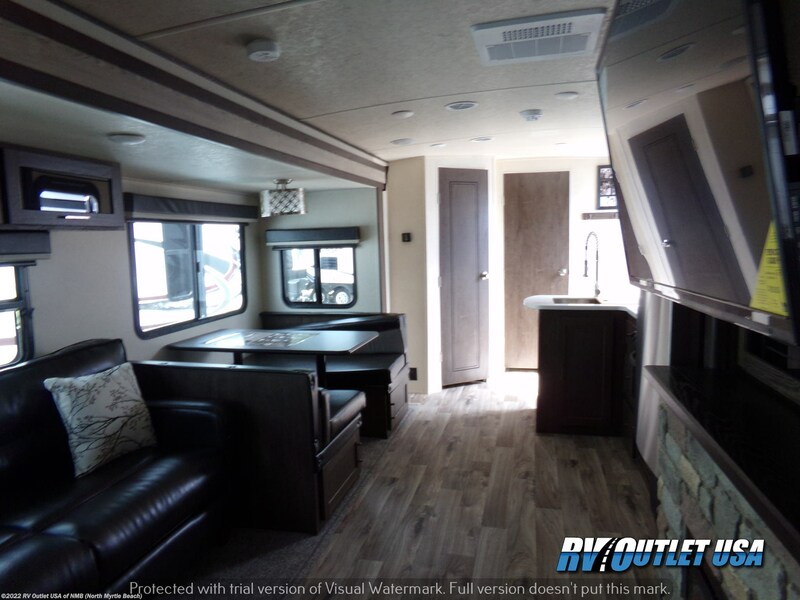 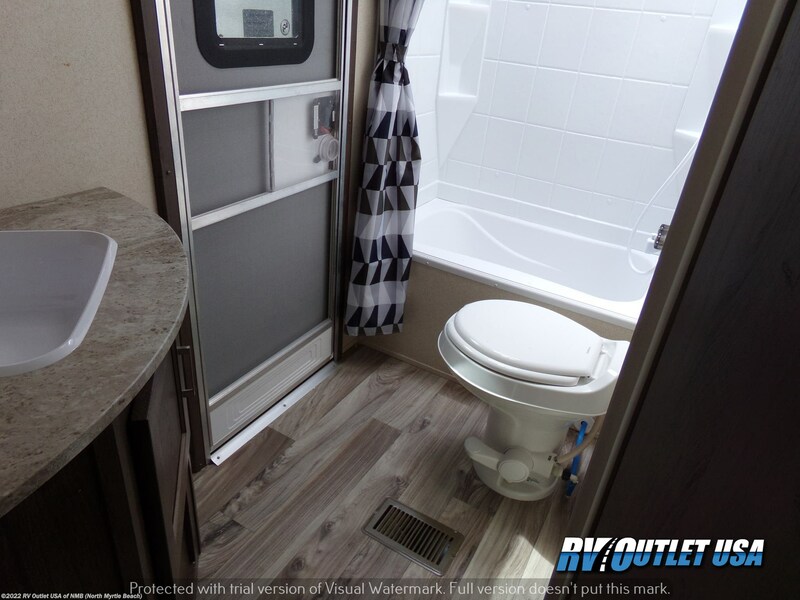 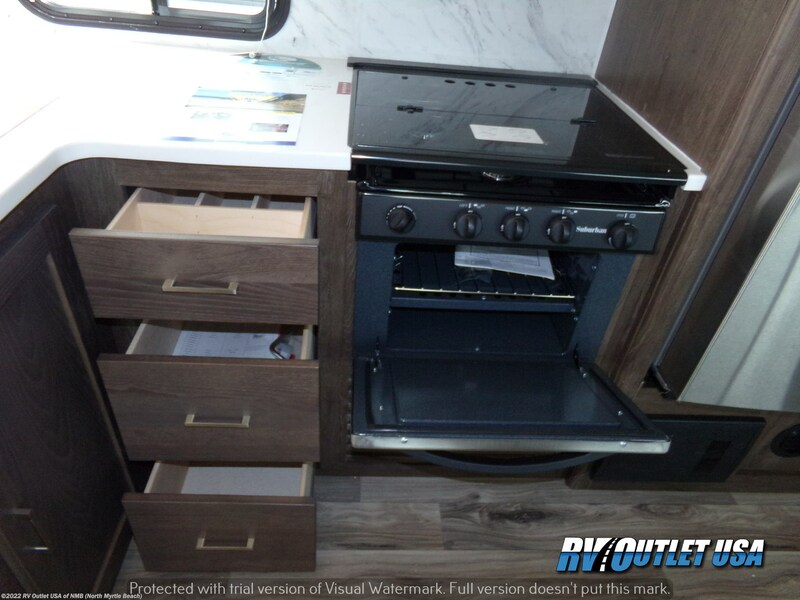 This 2018 Heritage Glen 309BOK is a really nice bunk house travel trailer and has a TON of very nice features and options, here's a list. 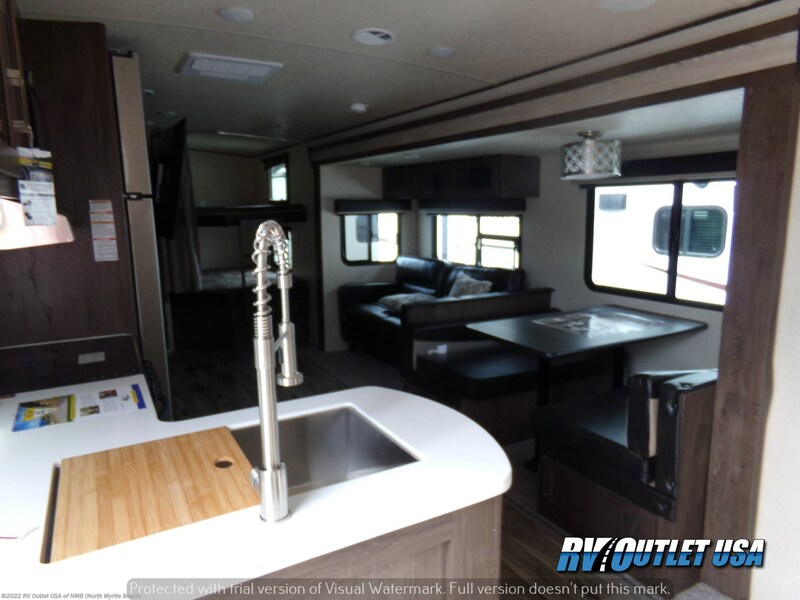 The interior color is Sienna, it has ALL the standard equipment, (LED TV, power awning, enclosed and heated underbelly, stainless steel kitchen package, exterior speakers, roller shades in the living area, aluminum wheels, black tank flush, etc!). 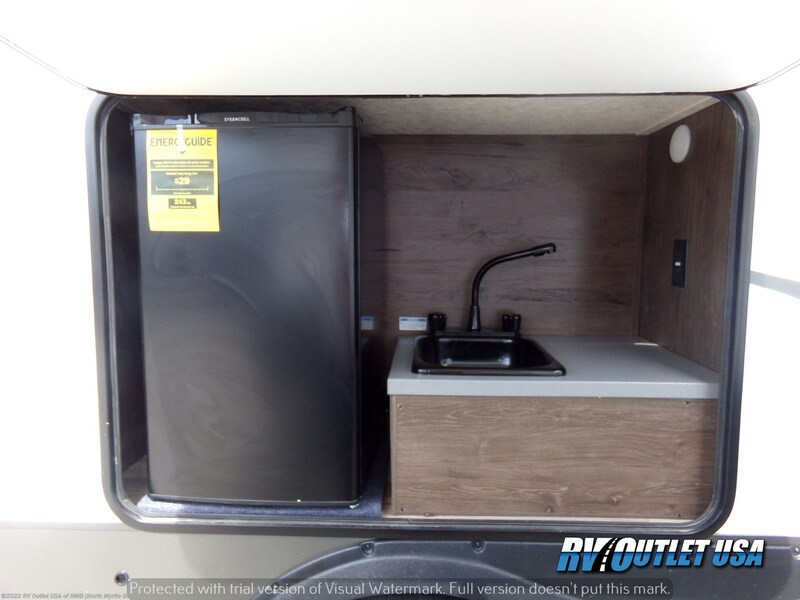 Additional options are, spare tire and carrier, an outside shower, the outside kitchen, the 10.7 cu ft residential refrigerator, a 15K BTU A/C, 50 amp service, a high rise kitchen faucet with pull out sprayer, the central switch center, the stainless under mkount sink, a recessed stove with glass cover, the Green package, the new fold out "Secure Step", the Furrior CD/DVD/FM player with bluetooth, the push button remote which works the slide out, awning, exterior lights, etc. 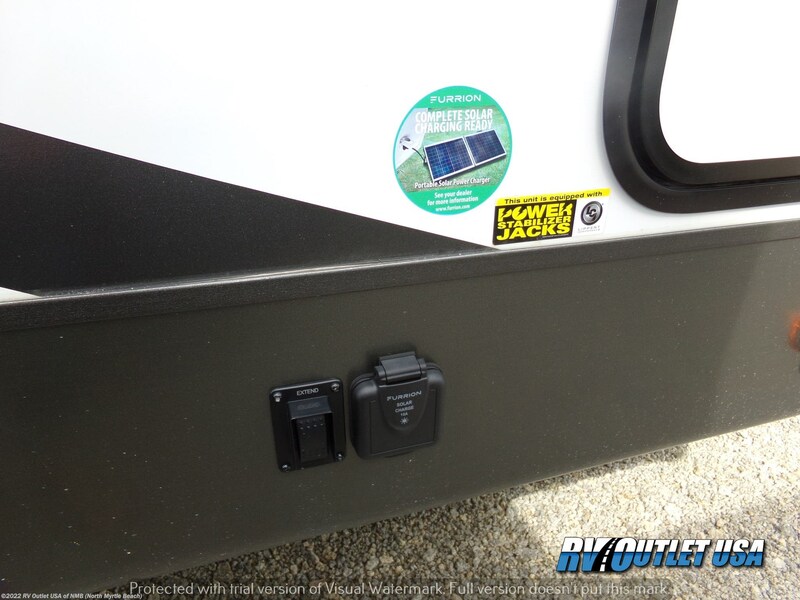 It has the power tongue jack, power stab jacks, back up camera prep and the new Denver pillow top mattress!! 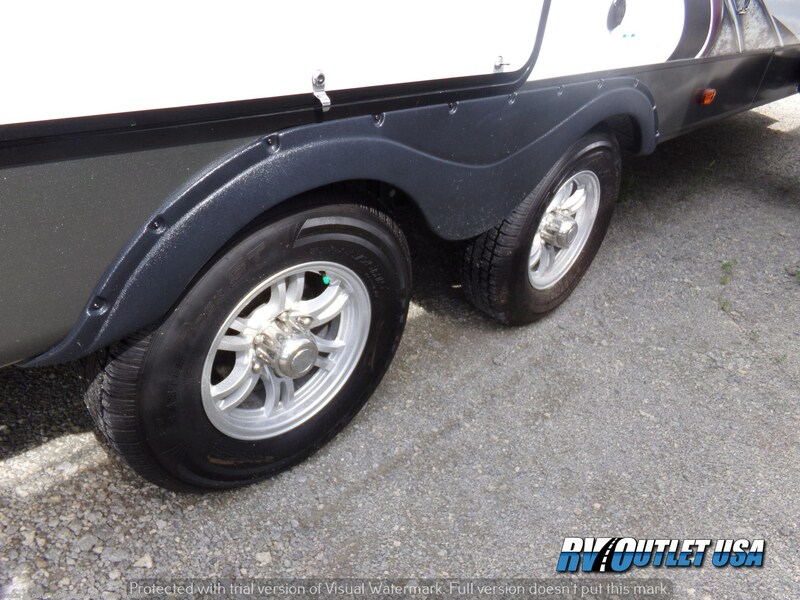 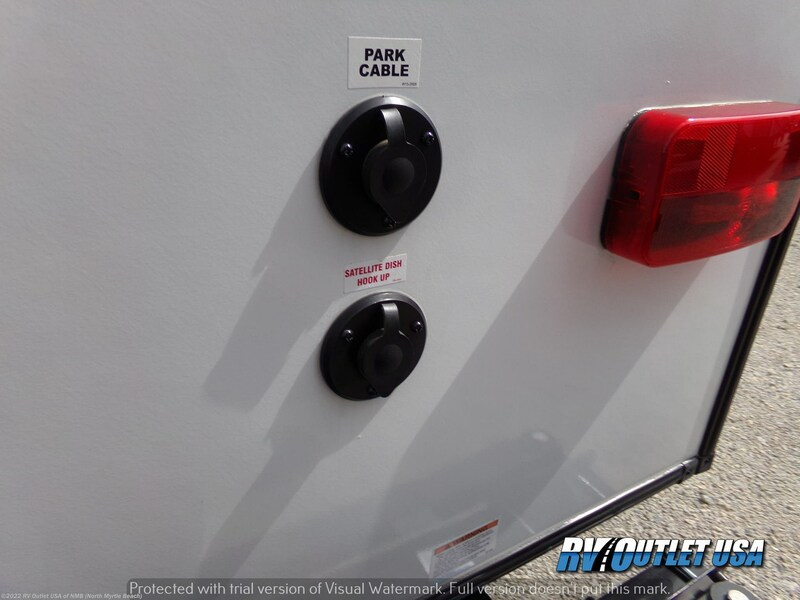 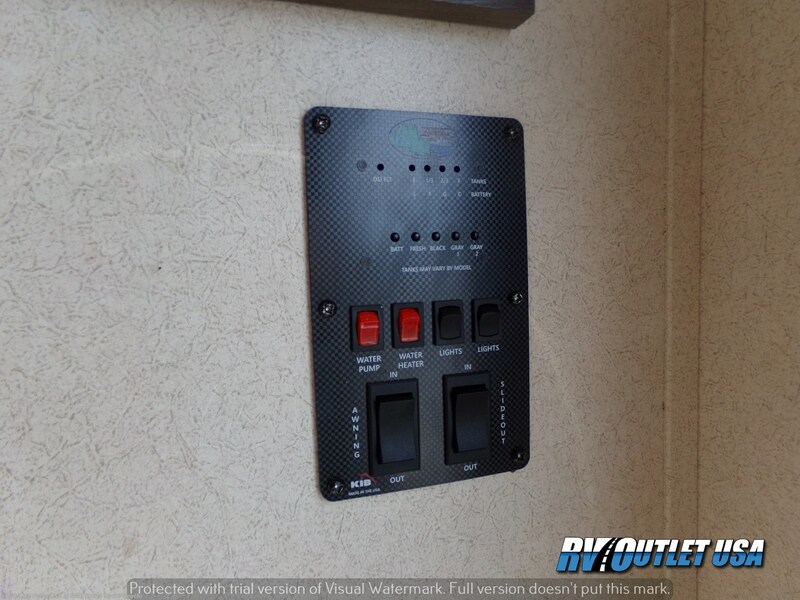 If you have any questions at all, please give us a call at 843-756-2222 or you can email us at [email protected] and our direct website is RV007.COM. 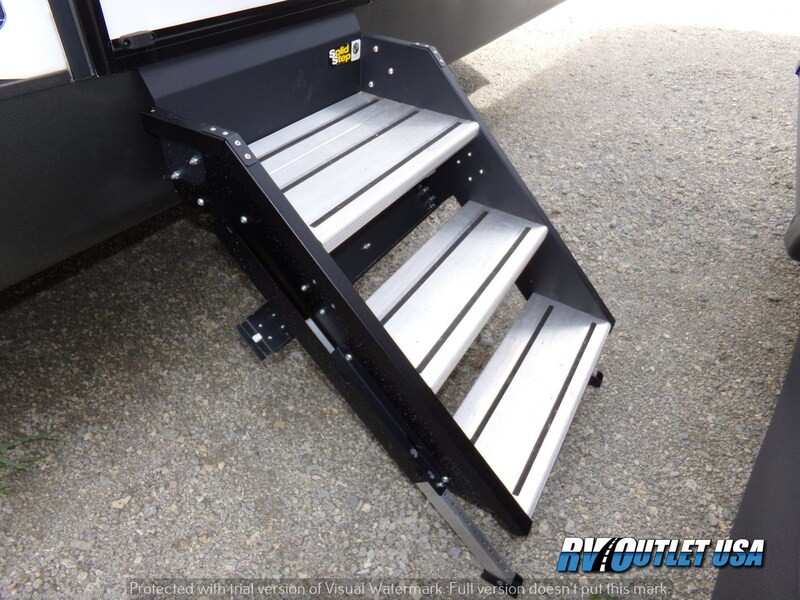 Please keep in kind, we have NO doc, prep, PDI, transport or any other hidden or added fees like the larger chain stores have and we always offer our customers HUGE discounts on weight distribution kits, parts and accessories! 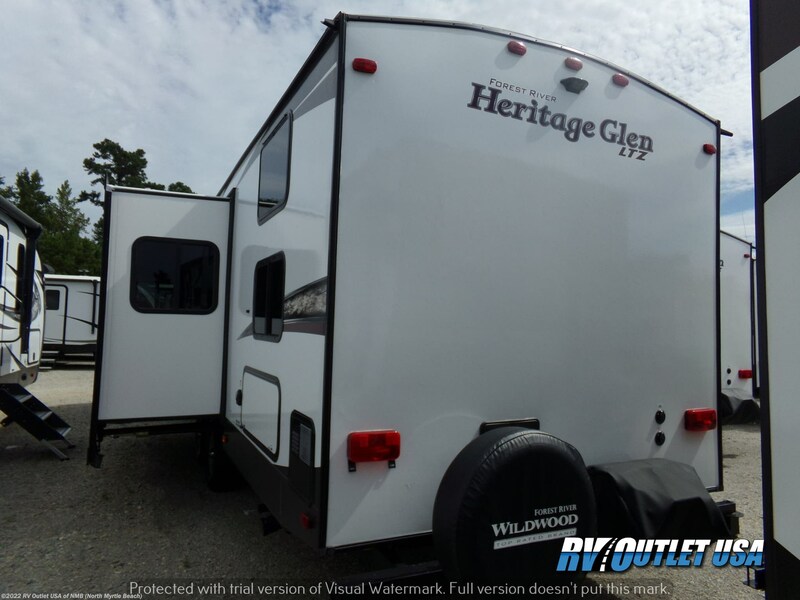 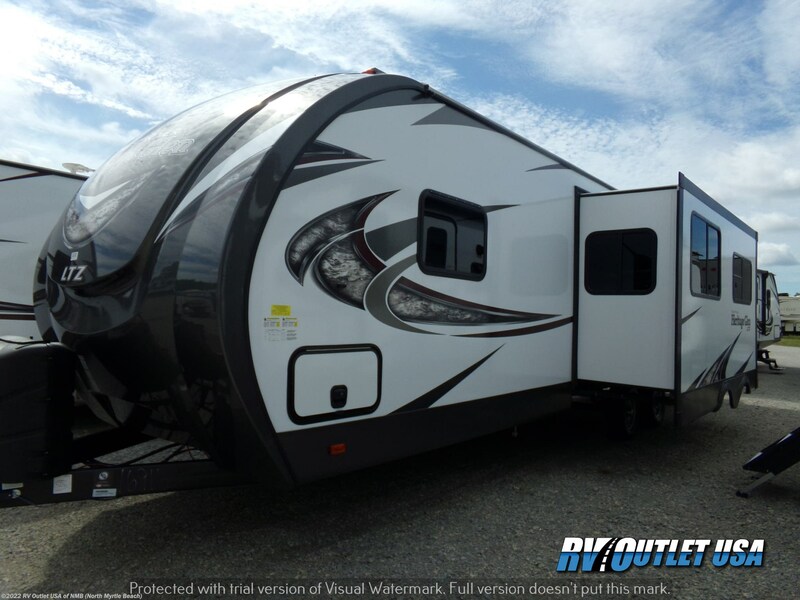 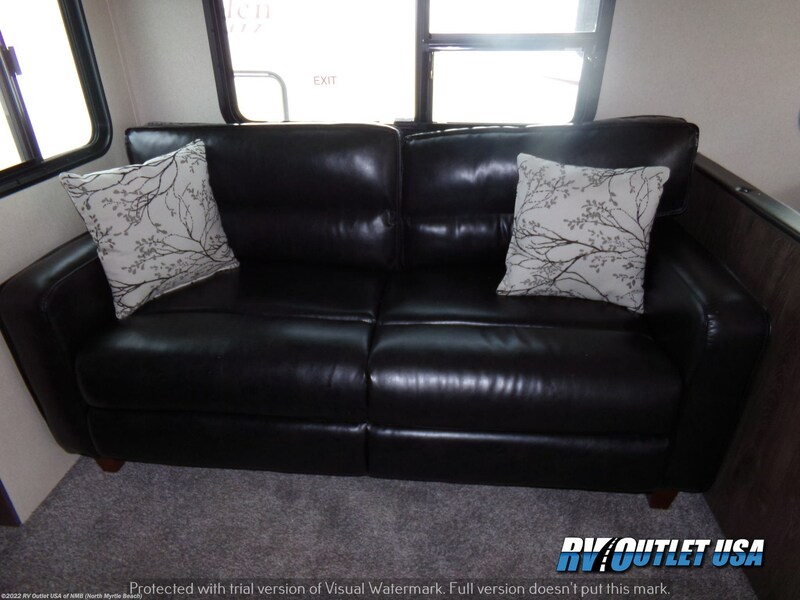 See this Stock # SCHG0850 - 2018 Forest River Wildwood Heritage Glen 309BOK on RV Outlet USA of NMB! 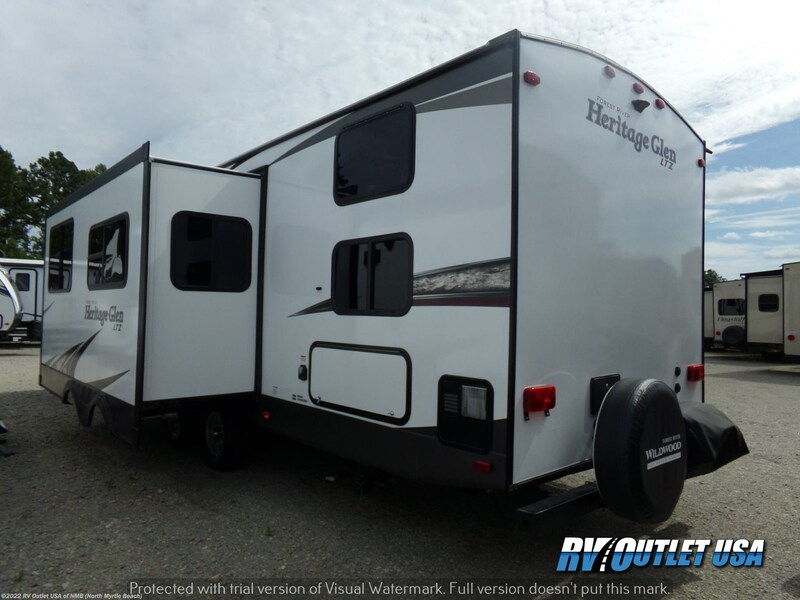 Check out Stock # SCHG0850 - 2018 Forest River Wildwood Heritage Glen 309BOK on forestriverrvsource.com!